Now you can help support IEF while enjoying concerts, sporting events, plays, and more. 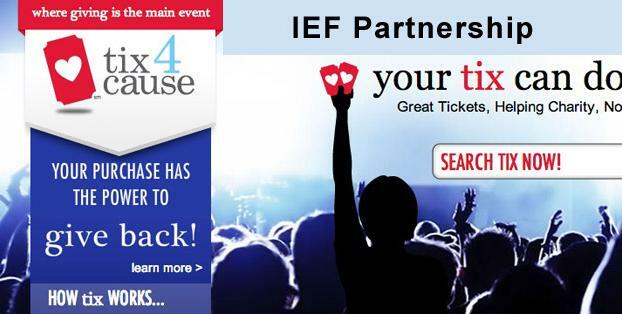 Simply purchase tickets through Tix4Cause, choose IEF as your charity of choice. [/B] Click Tix 4 Cause logo below. Step 2:[/B] Choose IEF as your charity of choice. Step 3:[/B] Look under “E” for elephant to select IEF as your charity of choice.